To be precise, Fashion Week is all about NOT fitting the mould. Balancing a unique narrative with your brand’s authentic voice is the equation for sweeping top-marks in the saturated style-agenda. Get it right and you’ll be the ‘ones-to-watch’, garnering substantial press coverage whilst building long-term brand legacy. So how to turn your brand into a staple fashion fixture? Matching the right mood to the right moment in the right place is all that matters. Brands from Mulberry to Moet have made this sacrament to their style-setting strategy. Their chosen venue is as integral to the story they want to tell as the models, the music and the set-styling. Mayfair. There is no-where more chic. And when it comes to Fashion Week, the area is alive with press jumping between shows and presentations. Hosting your event here is the ticket for keeping press stress-free and on-time. Say hello to Fifty Six Brook Street. Situated opposite the legendary Claridges hotel and an enviable two-minutes walk from Bond Street Station, this stucco-fronted space is ideal for hosting private events that leave a lasting impact. Featuring seven rooms split across four floors including a private screening room, brands know the space is ideal for showcasing collections, accessories and beauty products in an environment ripe for personal connections to be built. With pristine white-walls and floor-to-ceiling windows at street level, ample branding opportunities allow guests to be immersed in the interior matched to brands’ identity. From world-class fashion houses to luxury beauty brands such as Kat Von D, Fifty Six Brook Street has fast-become the central London space to reveal presentations, cocktail receptions, private screenings and salon-style fashion shows. Looking for a Mayfair space with the character to match your own? Meet Thirty Eight Grosvenor Square. From legendary fashion power-houses hosting private presentations to luxury brands such as LVMH’s Möet & Chandon enjoying a three-day venue takeover, this is a spot where heritage finds its modern face. This former Malaysian embassy speaks of an enchanting past with hand-painted rococco-ceilings, cornices and frescos. Yet as a light-filled, white-walled townhouse, it’s versatility sees it host everything from fashion filming, live podcast recordings, private dinners, cocktail parties, press days, live music and drinks tastings. 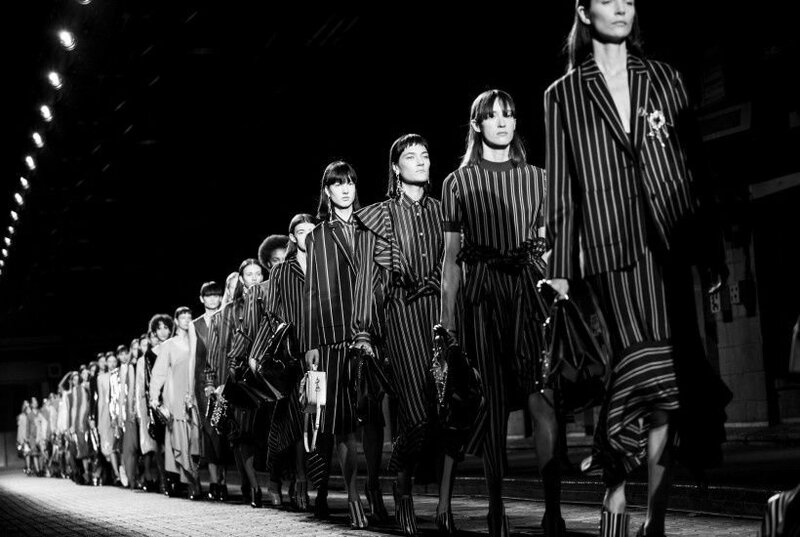 For Mulberry’s Spring/Summer 17 catwalk show, Johnny Coca expressed a juxtaposition of British identity. Respect and rebellion intermixed in a collection that hoped to play with tradition, breaking its rules. Where better to match this mood than Printworks London’s Press Halls? With its heritage in the publication of classic British newspapers, today it is a locus for revolutionary imaginations to come alive. The space’s high-ceilinged architecture and industrial-chic aesthetic, coupled with its ample space for long runways and complex design and production, have centered Printworks as a one-of-a-kind space, disrupting London’s creative scene. 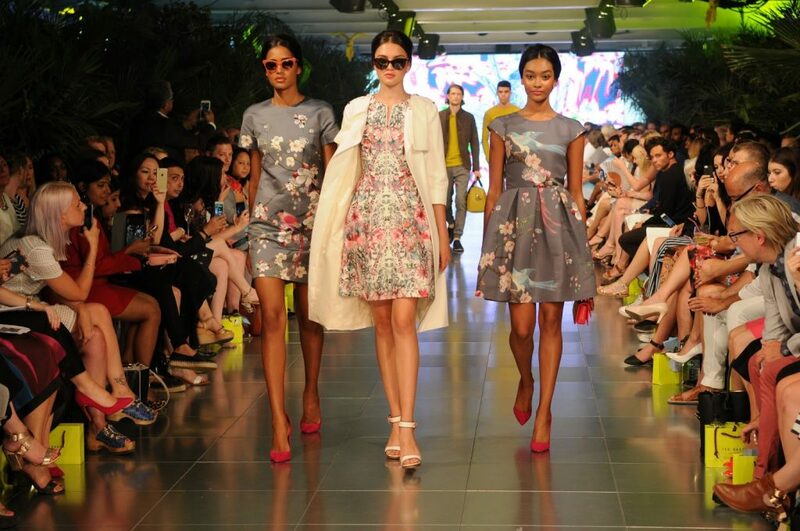 With your fashion-mood sorted, make sure you heighten your brand experience in a venue to match. Want to discover the agenda-breaking venue to mirror the statement you want to express? Contact the team to see our full venue-portfolio.